Visiting EU foreign ministers recently put pressure on Iraq with regard to the official position on Syria. But what does the EU really want the Iraqis to do? And what will they do if Iraq doesn’t agree? Recently three foreign ministers from the European Union met with high ranking Iraqi politicians in Baghdad and Erbil. The foreign ministers of Sweden, Bulgaria and Poland – respectively Carl Bildt, Nickolay Mladenov and Radek Sikorski – met with the Iraqi Prime Minister Nouri al-Maliki and the Iraqi Foreign Minister Hoshyar Zebari separately. They also met with the Minister for Energy Hussein al-Shahristani and Osama al-Nujaifi, the speaker of the Iraqi parliament. And in Erbil, they met Kurdish leader Massoud Barzani, President of the semi-autonomous region of Iraqi Kurdistan. The European officials came directly from meetings in Beirut where, according to news agencies, they had been talking to Lebanese politicians about preventing the violence in Syria from spilling over the borders. A similar topic was on the agenda in Iraq. Remember that “Crusade”? It is back, it seems – if it ever went away. Six months later that designated “dove” of the Bush Administration, General Colin Powell, gave an ultimatum toPakistan’s President Pervez Musharraf demanding he be on board to topple the Taliban and neutralize “al-Qaeda” in Afghanistan. We gave them twenty four (or) forty eight hours and then I called President Musharraf and said, ‘We need your answer now. We need you as part of this campaign – this Crusade’. I’ve come here to Cairo to seek a new beginning between the United States and Muslims around the world … American is not – and never will be – at war with Islam. In his article, “The Salvador Option for Syria,” Michel Chossudovsky gives a crash course on the multiply diverse Ambassador Ford, to whom, it must be said, diplomacy would seem to be yet another far away land. I’ve written in this space about the playing of the Sunni card against what has always been the main target of the regime-changers, and that is Iran. I’ve also written about the “atomization” of the region as the operative goal of the Western alliance. The policy is a reenactment of the strategy deployed against the former Soviet Union. The idea is to smash up the nation-states in the region – whether it be in the central Asian former Soviet republics, or in the Middle East – splitting them into ever-smaller and more manageable pieces. The neoconservative regime-changers’ were never shy about proclaiming their grandiose goal, which was to “drain the swamp” of the Middle East and achieve some fundamental “transformation,” presumably in a secular liberal-democratic direction. What this meant, in terms of real power relations, was redrawing the map of the Middle East. So, how’re they doing so far? Split up along ethnic and sub-regional lines, the “nation” of Iraq is a fiction: Kurdistan is de factoindependent, and the rest is up for grabs. Now the stage is set for the conflict between the contenders for regional hegemony: the US and its regional allies, including the Saudis and Israel, versus Iran. The Mail on Sunday can today reveal devastating new claims of abuse by British soldiers carried out at a secret network of illegal prisons in the Iraqi desert. 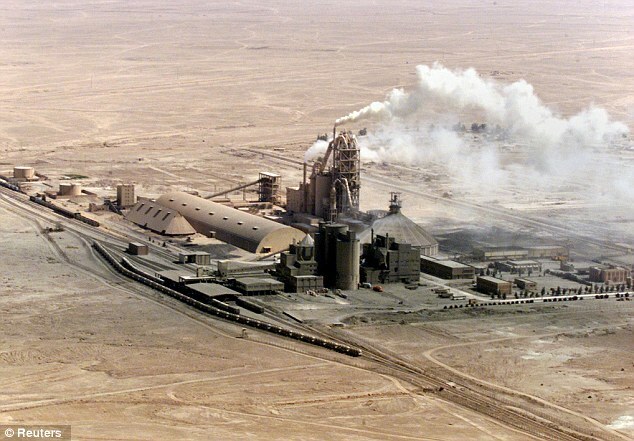 One innocent civilian victim is said to have died after being assaulted aboard an RAF helicopter, while others were hooded, stripped and beaten at a camp set up at a remote phosphate mine deep in the desert. The whereabouts of a separate group of 64 Iraqi men who were spirited away on two RAF Chinooks to a ‘black site’ prison, located at an oil pipeline pumping station, remain unknown. Perhaps the most shocking aspect of these alleged abuses, which appear to have been flagrant breaches of international law, is that this secret network is claimed to have been sanctioned by senior Ministry of Defence lawyers. Yet the top British Army lawyer on the ground in Iraq – who was supposed to be responsible for all aspects of prisoner detention – remained completely unaware of it. Meanwhile, the Government last week introduced its new secrecy law in Parliament, which, if enacted, would mean details of the emerging scandal would be hidden for ever. This is a fictional film based upon the Haditha killings, which involved U.S. Marines shooting unarmed Iraqi civilians, including three women and seven children in Haditha, Anbar in November 2005. The event started after a roadside bomb hit a squad of Marines. Eight Marines were eventually charged for the incident, but most of them were either given immunity in return for their testimony, made to resign from the service, were acquitted or had their rank lowered in court cases that dragged on all the way to January 2012. None spent any time in jail, causing consternation back in Iraq. As the American military was withdrawing fromIraq at the end of 2011, it dumped hundreds of secret documents about the investigation into dumpsters, which were discovered by the New York Times. The papers showed that as the insurgency picked up pace in Anbar, the Americans loosened their rules of engagement. If there was shooting from a building for example, they would usually destroy the entire house. If cars didn’t stop appropriately at checkpoints, they were assumed to be militants and fired upon. One Marine interviewed said they had shot children in vehicles as a result of this policy, which had scarred his troops. It was this mix of increasing violence, losses by the Marines, and their willingness to open up on innocents that led to the Haditha massacre. French police on Thursday held an Iraqi official for questioning after a member of the exiled Iranian opposition filed a complaint against him alleging torture and war crimes, a judicial source said. The Iraqi government said the allegations made by the member of the ex-rebel People’s Mujahedeen, still blacklisted byWashingtonas a terrorist group, were a “deception” aimed at damaging relations betweenParisandBaghdad. From left to right: H.E. 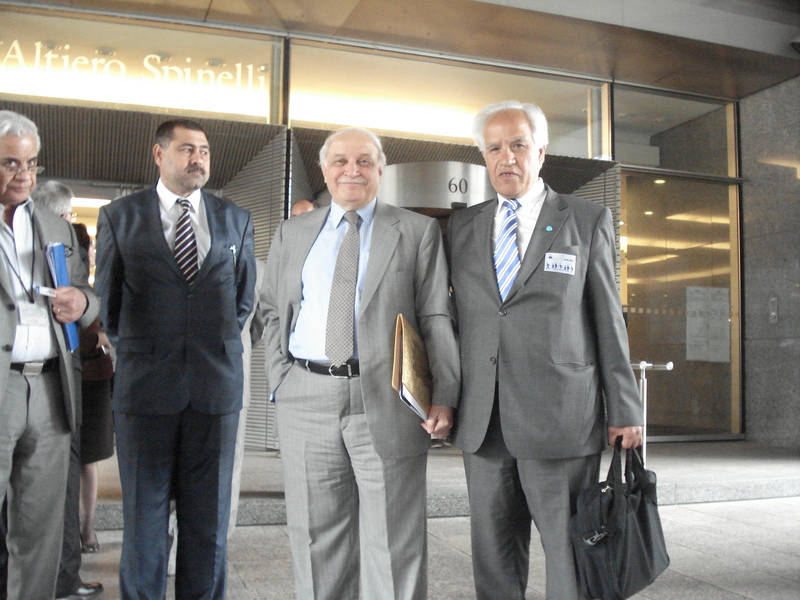 Ambassador Mohammed Abdullah Al-Humaimidi, Ambassador of the Republic of Iraq in Brussels; one of the members of the Delegation from Iraq; Mr. Labid Abbawi, Deputy Foreign Minister of Iraq; Dr. Hassan Aydinli, ITF EU Representative. Mr. Labid Abbawi, Deputy Foreign Minister of Iraq and Mr. Gorges Bakoos, Advisor of the Prime Minister of Iraq were accompanied by a large delegation from Iraq from the Justice, Human Rights and Interior Ministries. 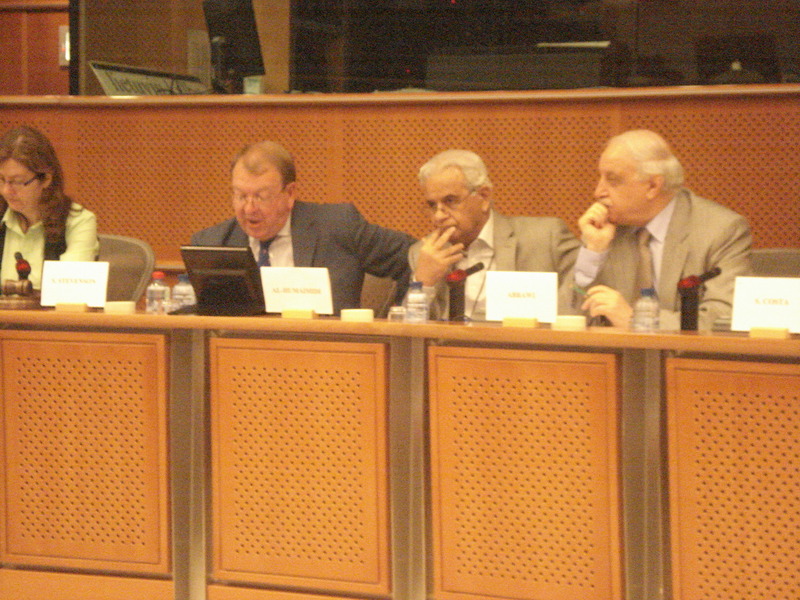 MEP Struan Stevenson began by welcoming the Iraqi delegation. He said he strongly condemns the series of attacks in Iraq and he presented his condolences to the families of the victims. The Chair deplored the fact that Iraq has not yet appointed a Minister for Security. He said that an interparliamentary meeting would take place at the end of September 2012. A political, Human Rights and Economics dialogue is needed. 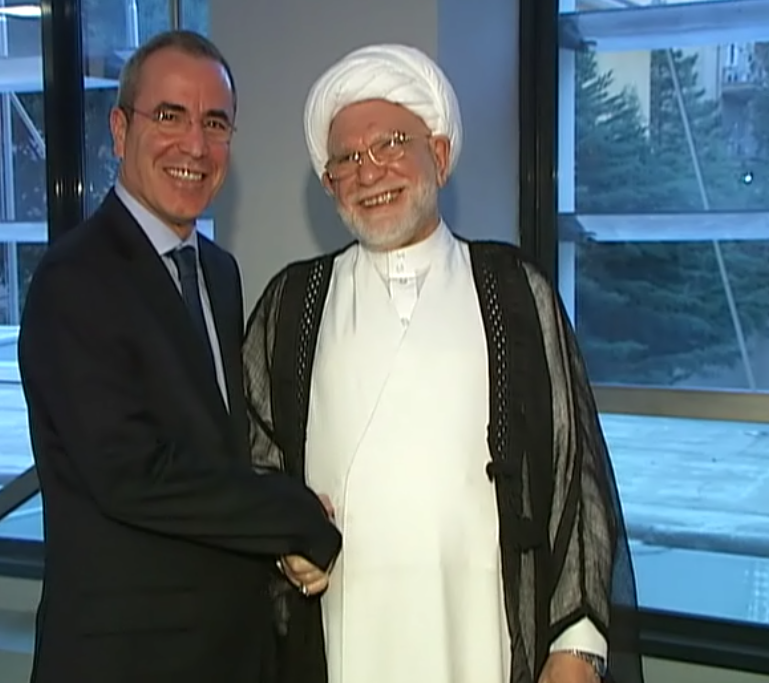 He said he would like to hear Iraq’s position on Syria. Regarding Camp Ashraf, the Chair said that there are failures on the part of Iraqis to respect the rights and needs of the residents. He said that if there was enough time he would give the floor to the 3 former Camp Ashraf residents who attended the meeting to give their testimony. Mr. Labid Abbawi said that Iraq inherited the legacy of the old regime, but that all political forces are working for a federal, democratic, pluralistic Iraq. Iraq must transform itself to attain an equilibrium. To have security it is necessary to have political stability. General security has improved, but unfortunately some foreign countries are financing terrorism inside Iraq. Iraqi security forces are now better armed but they still have to do more in intelligence to combat terrorism. Regarding the political situation Mr. Labid Abbawi said that he was optimistic, provided Iraq is left alone, without foreign interference. He said that Iraq wants to use its own judgement in solving Iraqi problems, it does not accept outside interference regarding appointments of politicians. What Iraq needs is international support. 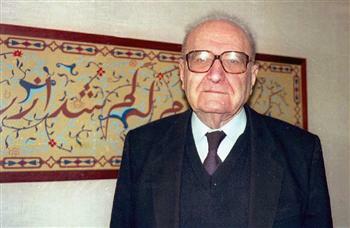 He added that Iraq is the first country in the Arab world who got rid of dictatorship. He said that one aspect of the democratic process in Iraq was the hosting of the Arab League, the summit was most successful. Iraq has also hosted the 5+1 meeting which is a mark of success. He added Iraqis lack comprehension of ‘democracy’ that there is still a long way to go. For the development of democratic process and training in Human Rights, Iraq welcomes help from friends in well established democratic countries. He said that the new democracy in Iraq has to overcome many challenges. Iraq needs to pass a lot of legislations, the hard situation in which Iraq was during the last 9 years and still is today have prevented the issuing of these legislations, terrorist elements are unfortunately still active in Iraq. Mr. Labid Abbawi said that the main issue is to get Iraq out of Chapter Seven. The only remaining problem is relations with Kuwait. He said that Iraq has held joint meetings with Kuwait, that they had agreed on several aspects of the border line, of maritime border, on questions of compensation and properties to be returned to Kuwait. He said that in October/November the Kuwaiti Prime Minister would visit Iraq accompanied by a Kuwaiti delegation. He added that he expected they would sign an agreement in March 2013. Then Iraq will go to the Security Council to ask to be taken out of Chapter Seven. 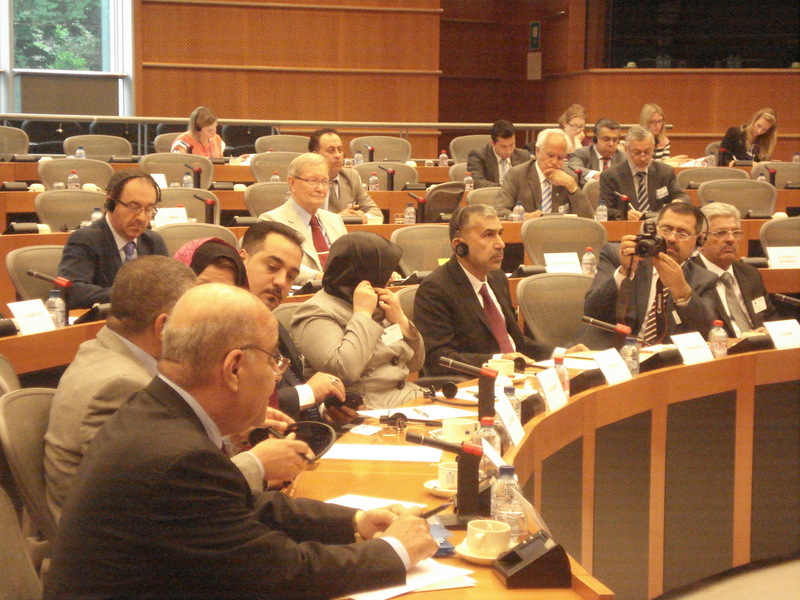 Mr. Labid Abbawi added :”We look to the EU for cooperation”. On the Erbil agreement Mr. Labid Abbawi said that each group interprets the Iraqi Constitution in his own understanding and interests. That Iraq had inherited sectarian divisions from Bremer time and that this needs to be tackled. On relations with Syria Mr. Labid Abbawi said that Iraq supports the democratic rights of all Arabs, in Tunisia, Egypt, Libya, Yemen and in Syria. Iraq supports the people who fight tyranny, you cannot stand against the tide of the people. Iraq supports Kofi Anan’s 6 point piece plan in Syria, Iraq does not want a civil war in Syria. Iraq is against outside interference in Syria, it is afraid that this will lead to civil war. The Arab League has tried to bring the Syrian opposition together but was not successful. Mr. Labid Abbawi said that he had met the Syrian opposition in Istanbul but that they are split. He added that Iraq had tried everything with the Syrian regime but they are not responsive. Regarding Camp Ashraf/Camp Liberty Mr. Gorges Bakoos said the Iraqi authorities were doing their best to make the residents’ life as comfortable as possible while they were waiting to be resettled abroad. He said most of camp Ashraf people have no legal status in Iraq, up to 15/06/2012 only 262 have been granted refugee status by UNHCR. He added that the Iraqi government will never hesitate to implement all requirements and that it is working with UNAMI but that the residents always introduce new demands and refuse to come to the meetings Mr. Gorges Bakoos asked the EU Parliament to put pressure on their leadership in Paris and he handed documents showing that the Iraqi government is implementing all requirements to the Chair. The Chair declared that he has continuous complaints from the residents of Camp Ashraf/Camp Liberty, he said that in reality all these promises are not being implemented. He said that Camp Liberty is a refugee camp where people will have to stay a long time. He also mentioned two massacres which have taken place in Camp Ashraf. MEP Vidal Quadras said it is good to discuss face to face, adding that all the info the EU Parliament has is completely different from what Mr. Gorges Bakoos had said. Addressing the Iraqi delegation he said that the Iraqi government should apologize for killing 41 innocent people (among whom women and children) in Camp Ashraf. He added that the EU Court of Justice has ruled that Ashraf Camp people are not terrorists, therefore you should respect their rights. Mr. Labid Abbawi answered that this was a lot of smears and lies, Iraqis know who are the Camp Ashraf people “we have films showing they were fighting against our people during the uprising, we consider them as terrorists and we will not allow them to build another organization”. Addressing MEP Vidal Quadras Mr. Lahib Abbawi said that 12 of the Camp Ashraf residents who wanted to seek refuge in Spain were considered ‘security risks’ by the Spanish government. Mr. Gorges Bakoos added that Iraq has spent many millions to improve the living conditions of the residents, all facilities are provided to Ashraf Camp residents who have been transferred to Camp Liberty. Camp Liberty was a U.S Camp, it has housed 5500 U.S troops, it has all the facilities, electricity, water, etc. We are providing every Camp Liberty resident with 200 liters water/day. Iraq has spent 1 million US $ for water purification. Their food is coming from Kuwait, without any restrictions, Iraq has spent 200 millions for the trucks transporting their food. According to HR requirements all is provided to them. It is false to say that they suffer from lack of electricity, the Camp was used by 5.500 U.S. military troops, it has 18 generators + 14 extra generators, these people do not stop complaining, while no Iraqi citizen has 24hrs electricity per day. The Chair thanked the Iraqi Ambassador and all the members of the Iraqi delegation for their presence at the meeting. Suriye Demokratik Türkmen Hareketi Başkanı Abdulkerim Ağa, Esed rejiminin 300′e yakın Türkmen’i şehit ettiğini söyledi. Suriye’deki Türkmenlerin durumunu ve muhalefetle ilişkilerini AA muhabirine değerlendiren Suriye Demokratik Türkmen Hareketi Başkanı Abdulkerim Ağa, Türkmenlerin muhalefetle hareket ettiğini, bunun için çok büyük bedeller ödediğini söyledi. Esed rejiminin halkı çoluk çocuk demeden katlettiğini belirten Ağa, “Türkmen halkının devrim hareketine çok büyük katkıları var. Bugüne kadar 300 kadar insanımız Esed rejimi tarafından şehit edildi” dedi. Ağa,”Hürriyet için sokaklara dökülen halkımız ne istiyorsa onu söylüyoruz ve gerçekleştiriyoruz. Biz de Suriye Ulusal Konseyi (SUK)’nin çatısı altına girmek, muhalefete burada devam etmek istiyoruz” diye konuştu. Iraqi Turkmen Front Turkey Representative and MKYK member Dr. Hicran Kazancı met with Muhammed Takiel Mevla, member of the Iraqi Supreme Islamic Council central decision body and Iraqi Minister for Hajj and Umrah who is in Ankara on an official visit. The subject of the meeting was to discuss the recent political crisis in Iraq, the security situation and how the deteriorating security situation has harmed the Iraqi population and mainly the Turkmen and emphasis was placed on preventing this harm. At the end of the meeting which took place in a very sincere atmosphere, Şeyh Mevla thanked the Iraqi Turkmen Front Turkey Representative for the interest and concern he had been shown. Roger Garaudy, who was born into a Protestant family before converting to Catholicism and later to Islam, joined the French resistance and was held in Algeria as a prisoner of war of France’s collaborationist Vichy regime. He joined the French Communist Party after the war and was elected to the French parliament and became a member of the Senate. He was expelled from the Communist Party in 1970 after he criticised the 1968 Soviet invasion of Czechoslovakia.